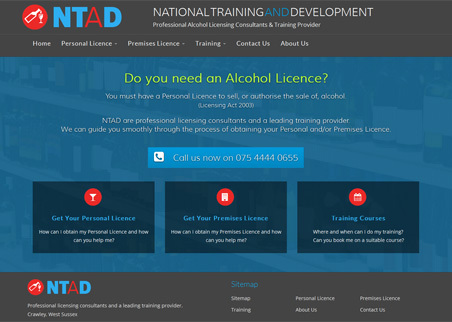 NTAD are Alcohol Licensing Consultants and Training Providers. A majority of the clients are people who run corner shops selling off-licence alcohol and who often don't have English as their first language. NTAD encourages them to enquire by telephone.